CARFAX 1-Owner, Excellent Condition. EPA 30 MPG Hwy/23 MPG City! Onboard Communications System, CD Player, Dual Zone A/C, Brake Actuated Limited Slip Differential, Smart Device Integration, Aluminum Wheels, Back-Up Camera CLICK NOW! Back-Up Camera, Satellite Radio, iPod/MP3 Input, CD Player, Onboard Communications System, Dual Zone A/C, Smart Device Integration, Brake Actuated Limited Slip Differential Rear Spoiler, MP3 Player, Keyless Entry, Privacy Glass, Steering Wheel Controls. WHEELS: 17 SPARKLE SILVER PAINTED ALUMINUM (STD). 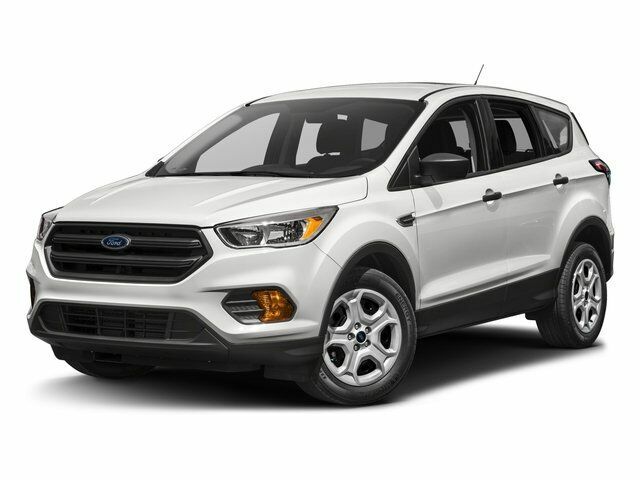 Ford SE with Ingot Silver Metallic exterior and Charcoal Black interior features a 4 Cylinder Engine with 179 HP at 6000 RPM*. Non-Smoker vehicle. The Escape does not handle like an SUV, it handles like a sharp and engaging liftback, albeit a high one. Crisp steering, responsive handling, great body control. -newCarTestDrive.com. Great Gas Mileage: 30 MPG Hwy.